The brand new Aston Martin DB11 Coupe is a quick and fetching roadster that combines the typical charming appeal of an Aston Martin with advanced technology. If you can spare £150,000, the DB11 presents a good case for itself. Billed by the brand themselves as a Grand Tourer, the aim here was to make a car that can get across continents in both style and comfort. There is a lot of comfort on offer here, as well as plenty of luxury. As well as this, the car provides more entertainment on the road than Grand Tourers are typically known for. It’s also safe, reliable, and comes with an up-to-date infotainment system. 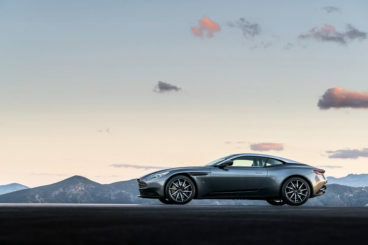 OSV takes a closer look at what it’s all about with our Aston Martin DB11 Coupe review. The DB11 Coupe is turbocharged, which might be a deal-breaker for some of you. At this end of the market, you either love or hate a turbocharged power plant. Purists will argue that it makes the engine artificial, while pro-turbochargers could make the point that luxury carmakers such as Aston Martin have a duty in 2016 to make their cars more efficient. The good news is that the turbocharged V12 5.2-litre unit is a roaring success. There is zero delay and lag, with power arriving as soon as you press the accelerator. The noise from the engine is beautiful and pleasing to the ears and is exactly the kind of note Aston Martin buyers have become accustomed to. The engine is wedded to an 8-speed automatic ‘box, which suits this coupe to a tee. It might not be as fast at changing gear as the twin-clutch automatic transmissions, but it will be responsive and smooth enough for most of you. Performance, meanwhile, is excellent. The car does the 0-62mph sprint in a matter of 3.9 seconds before maxing out at 200mph. This is a rear-wheel drive coupe, one which feels nimble and confident in terms of handling. The suspension is firm when tackling bands, while it offers ample comfort when you ride over some of our worst surfaces. This is a major strength of this car because Grand Tourers need to be comfortable for those longer journeys. As you move through the modes, the gear changes get quicker. This car’s predecessor housed a very comfortable and luxurious interior, but it was dating badly. Thankfully, Aston Martin have breathed a bit of new life into this one, and the cabin now offers enhanced luxury, with plenty of contemporary touches. The 8” central infotainment system is a particularly pleasing addition. It utilises “pinch to zoom” gestures which make it super user-friendly, while the 12” digital dash has replaced the outgoing traditional dials, and really helps this interior to sparkle with a freshness not seen in the outgoing model. Indeed, this digital dashboard easily rivals the Virtual Cockpit system found in an Audi. Although there are two rear seats in this here roadster, they’re not for adults. Indeed, even older children will suffer as they to get comfy. Because this is such a desirable car, they will definitely give it a try, though! The car isn’t especially practical on the whole, but for a two-door coupe, it isn’t too bad. The rear seats are tiny, and they don’t fold flat. For this reason, it’s not a good idea to take this coupe to B & Q. They do, however, offer extra luggage space whenever you need it, as well as ISOFIX points, which means you can fit a pair of seats for your kids back there. The boot, meanwhile, measures 270-litres, which is reasonable. Build quality both inside and outside is good, with the car forged from the latest in bonded aluminium. This improves safety and stiffness. It comes with anti-lock brakes and electronic stability control, which further give you confidence and security. The bonnet can absorb impacts, while the car also comes with a self-parking system as an optional extra. Standard equipment is good across the range, but because the list of options is so extensive, you might find that £150,000 quickly turns into a whole lot more. A multitude of carbon-fibre and wood interior trim details are available as optional extras, and you can even request Aston Martin to engrave your name on the door sills. Prices for the new car start out from almost £155,000 and will rise according to specifications and optional extras. This makes it around £15,000 dearer than the outgoing DB9. There are a lot of improvements, though, as well as more extra equipment which goes some way to justifying the price increase. For a comparison, the Ferrari 458 Italia is an astonishing £60,000 more expensive than the F430 it replaced. The new DB11 Roadster also promises to be cheaper to run than the car it replaces. No official data has as yet been released, but the DB9 managed to achieve returns of around 19.5mpg. The new DB11 will likely cost you just as much in annual tax, but fuel economy is forecast to be better, largely thanks to the introduction of turbocharging, a smaller engine, and cylinder-deactivation technology. When you don’t need all that much power, the 5.2-litre V12 unit uses cylinder-deactivation technology in order to boost emissions and economy. Aston Martin claims that this tech will boost the economy by up to 20%. Although there are some positives to ownership, servicing and insurance is going to be as expensive as always. You will need to put aside four figures when budgeting for these bills. The new coupe is 28mm wider and 50mm longer than its predecessor, which means that you get more space up front – as well as slicker, more striking looks. The bonnet is lengthy, and overall the roadster looks like it’s bursting with class and character. This is very much a two-seater coupe, and space up front is very good. Head and legroom is good, and thanks to the low-slung sports seats, it’s super easy to get as comfortable as you want. Make no mistake; this is a large Grand Tourer. But despite its size and 1,770kg weight, it manages to feel a lot lighter and smaller than it really is. Its agility is helped by the electrically assisted steering, which offers tactile feedback and quick responses. There is maybe a bit too much understeer, but torque vectoring is expected to be added before the car is fully rolled out. You could try and squeeze two adults into the back, but they won’t be at all comfortable. Indeed, they’ll probably exit the car with osteoporosis. Two small children will be happier – but only just. Although the engine is considerably smaller than the 6.0-litre unit, it’s replacing, and although it’s now turbocharged, it will still be a thirsty one. We’re expecting it to achieve fuel economy returns of 22mpg at best. If you’re shopping around for a glamorous Aston Martin, you might want to also check out the competition, too. Let’s see how it compares against its rivals in the comparison section of our Aston Martin DB11 Coupe. 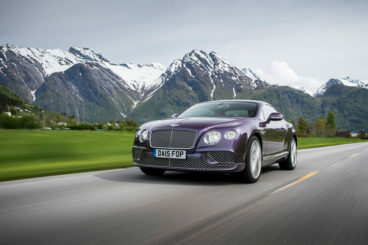 The new Bentley Continental GT Coupe is the first Bentley to be rolled out since Volkswagen took over the prestigious brand. Any fears that it was going to be a failure have immediately been quashed; this is a performative, spacious coupe that, though expensive, is highly desirable. There are a couple of engines available, and all feel as fast as lightning. In a straight line, this roadster is rip-roaringly quick, with a V8 or a W12 offering impressive pace. The gargantuan twin-turbocharged W12 6.0-litre petrol unit covers the 0-62mph sprint in 4.3 seconds before maxing out at 198mph, while the V8 500bhp petrol engine dusts the 0-62mph dash off in 4.6 seconds. It is a huge car, though, and its size does negatively impact on performance. 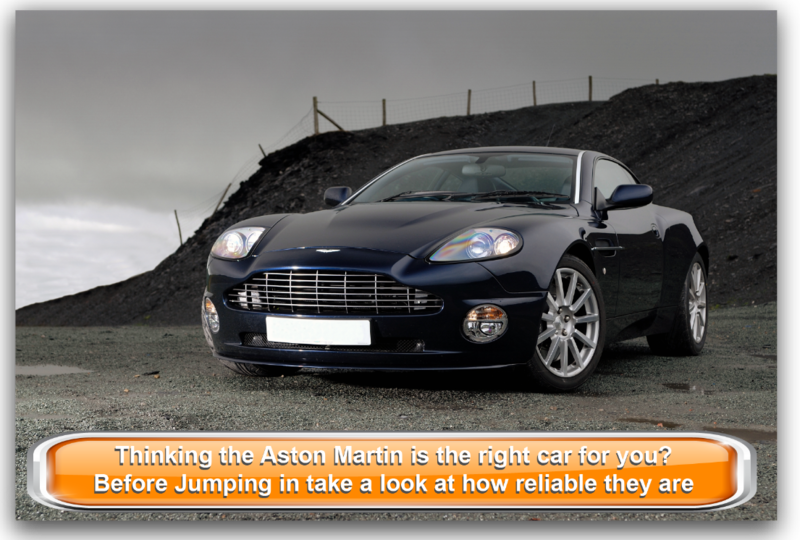 While handling is satisfying enough, it’s not quite as entertaining as the Aston Martin. It is, however, super comfortable. Unsurprisingly, running costs are eye-watering. But as anyone will tell you, if you’re in the market for a £100,000 + coupe, you’re hardly going to grimace at poor fuel economy. Bentley claim that the V8 engine can achieve returns of around 26.6mpg, but we’re sceptical. In the real world, you’ll be looking at 21mpg a best, which is competitive with the DB11 coupe. The W12, meanwhile, will yield returns of around 15mpg. 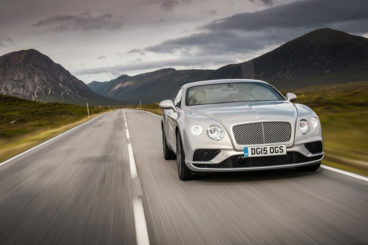 The Bentley Continental GT is as luxurious as you can get, and is arguably the best Britain is offering right now. The interior is hand-made, with the plush seats a key selling point here. The quilted leather is smooth and used well, with the only Rolls-Royce offering plusher cabins. Motorway cruises are a breeze, thanks to the soft suspension, and overall the interior is a very special place to be. This is a large car for its class, but the rear seats are just as cramped as the ones in the DB11 and are not really fit for adults over 5ft 6in. Front-seat passengers will be comfortable enough, while interior storage is good. The boot, meanwhile, measures 360-litres, making it a whole lot bigger than the one in the Aston Martin. 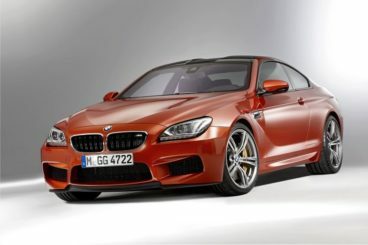 The BMW 6 Series M6 is an astonishingly quick coupe where speed is available on tap. With up to 567bhp on offer, as well as 680Nm of torque, it’s one of the driving enthusiasts. If it’s devastating speed that you want, there isn’t much to separate the two cars. Just like the DB11 Coupe, the M6 Coupe does away with the 0-62mph sprint in just 3.9 seconds. In reality, it actually feels even quicker than that. Chocked full of power, it continues to accelerate way beyond 100mph. The gear changes are quick, giving you instant thrust. Top speed is officially 155mph, but if you opt for the M Driver Package, you can knock it up to 189mph. There is also a Competition Package up for grabs, which adds anti-roll bars, uprated dampers and suspension, but it feels a bit unnecessary. Handling is okay, but it suffers from the same problems as the Bentley – it’s just so heavy that it’s not as nimble as the Aston Martin. The 6 Series M6 Coupe will cost you £490 a year in tax, while you should be able to achieve fuel economy returns of around 25mpg off a sensible drive. Insurance will cost a small fortune, as will consumables, such as servicing. The car will struggle to hold its value over three years, and will likely lose up to 50% of its purchase price. Ride quality can be enhanced by adjusting the driving mode via the onboard computer, and although the cabin isn’t as special as the Aston Martin or the Bentley, it’s still a pleasant place to be. It’s more practical, though, with its 480-litre boot knocking spots off the pretenders. Interior space is also good, and there aren’t too many cars in this sector that are as usable. It’s also considerably cheaper than the Aston Martin DB11 Roadster. Although this is not quite the finished car, all signs are promising that the new DB11 Roadster is going to be a fine specimen. Luxurious and fun to drive, it preens and dazzles like a peacock. In other words, it looks absolutely stunning. 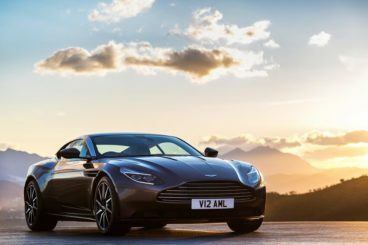 Although there are cheaper cars in this class, for the amount of performance and desirability on offer, few can match the Aston Martin DB11 for quality. Fill out the form below with your details, and one of our highly qualified specialists will be in contact in 24 hours.